Manufacturer of a wide range of products which include hospital bowl stand, bowl stand, stainless steel sink and double bowl trolley. 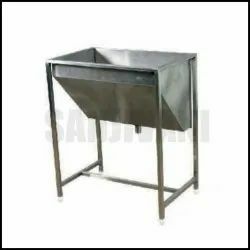 With the aid of our highly experienced professionals, we are instrumental in developing finest grade Hospital Bowl Stand. Designed to meet the varied requirements of nursing homes and clinics these highly viable bowl stands are the best selling products in the segment. Used to hold the surgical equipment these stands are portable and will be delivered in the sturdy packaging of foam, carton and wooden frame. 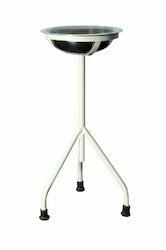 We are recognized as the industry leaders by developing finest grade Bowl Stand. It is the most economical solution to maintaining the hygiene in operation theaters. Designed to keep the surgical equipment in place the offered stand comes with two bowls to provide more space for optimum convenience. Further, the offered stand fabricated from the 2mm thickness of stainless steel sheet which ensures superior load bearing strength. We have complete allegiance in developing highly demanded Stainless Steel Sink. These sinks are demanded widely for its superior stain-resistant performance that works best to keep the hygienic requirements intact at hospitals. Featuring a robust stainless steel frame and superior load bearing strength the high performing sink is tested rigorously for its lasting shine and maintenance free life. 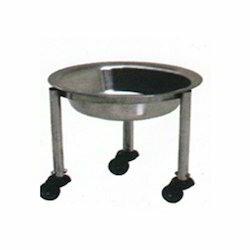 We are the well-known enterprise engaged in providing high in demand Double Bowl Stand. Thoughtfully developed to maintain the hygienic requirements at hospitals these innovative designed bowl stands are the best option to keep and wash the surgical equipment. Fabricated from stain resistant material these stands are extremely long lasting and can be ordered from us at a leading price.